Section 1. All legislative powers herein granted shall be vested in a Congress of the United States which shall consist of a Senate and House of Representatives. No person shall be a Representative who shall not have attained to the age of twenty-five years and been seven years a citizen of the United States, and who shall not, when elected, be an inhabitant of that State in which he shall be chosen. Representatives and direct taxes shall be apportioned among the several States which may be included within this Union, according to their respective numbers, which shall be determined by adding to the whole number of free persons, including those bound to service for a term of years, and excluding Indians not taxed, three fifths of all other persons. [The preceding portion in italics is amended by the Fourteenth Amendment, Section 2.] The actual enumeration shall be made within three years after the first meeting of the Congress of the United States, and within every subsequent term of ten years, in such manner as they shall by law direct. The number of Representatives shall not exceed one for every thirty thousand but each State shall have at least one Representative; and until such enumeration shall be made, the State of New Hampshire shall be entitled to choose three, Massachusetts eight, Rhode Island and Providence Plantations one, Connecticut five, New York six; New Jersey four, Pennsylvania eight, Delaware one, Maryland six, Virginia ten, North Carolina five, South Carolina five, and Georgia three. Immediately after they shall be assembled in consequence of the first election, they shall be divided as equally as may be into three classes. The seats of the Senators of the first class shall be vacated at the expiration of the second year, of the second class at the expiration of the fourth year, and of the third class at the expiration of the sixth year, so that one-third may be chosen every second year; and if vacancies happen by resignation, or otherwise, during the recess of the legislature of any State, the Executive thereof may make temporary appointments until the next meeting of the legislature, which shall then fill such vacancies. No person shall be a Senator who shall not have attained to the age of thirty years and been nine years a citizen of the United States, and who shall not, when elected, be an inhabitant of that State for which he shall be chosen. The Vice-President of the United States shall be President of the Senate but shall have no vote unless they be equally divided. The Senate shall choose their other officers, and also a President pro tempore, in the absence of the Vice-President, or when he shall exercise the office of President of the United States. Judgment in cases of impeachment shall not extend further than to removal from office and disqualification to hold and enjoy any office of honor, trust, or profit under the United States: but the party convicted shall nevertheless be liable and subject to indictment, trial, judgment and punishment according to Law. Section 4. The times, places, and manner of holding elections for Senators and Representatives shall be prescribed in each State by the legislature thereof; but the Congress may at any time by law make or alter such regulations except as to the places of choosing Senators. Section 5. Each House shall be the judge of the elections, returns, and qualifications of its own members, and a majority of each shall constitute a quorum to do business; but a smaller number may adjourn from day to day and may be authorized to compel the attendance of absent members, in such manner, and under such penalties as each House may provide. proceedings, punish its members for disorderly behavior, and, with the concurrence of two thirds, expel a member. Neither House, during the session of Congress, shall, without the consent of the other, adjourn for more than three days nor to any other place than that in which the two Houses shall be sitting. Section 6. The Senators and Representatives shall receive a compensation for their services, to be ascertained by law, and paid out of the Treasury of the United States. They shall in all cases except treason, felony, and breach of the peace, be privileged from arrest during their attendance at the session of their respective Houses and in going to and returning from the same; and for any speech or debate in either House they shall not be questioned in any other place. No Senator or Representative shall, during the time for which he was elected, be appointed to any civil office under the authority of the United States which shall have been created or the emoluments whereof shall have been increased during such time; and no person holding any office under the United States shall be a member of either House during his continuance in office. Every bill which shall have passed the House of Representatives and the Senate shall, before it becomes a law, be presented to the President of the United States; if he approve, he shall sign it, but if not he shall return it, with his objections, to that House in which it shall have originated, who shall enter the objections at large on their journal and proceed to reconsider it. If, after such reconsideration, two thirds of that House shall agree to pass the bill, it shall be sent, together with the objections, to the other House, by which it shall likewise be reconsidered, and if approved by two thirds of that House, it shall become a law. But in all such cases, the votes of both Houses shall be determined by yeas and nays and the names of the persons voting for and against the bill shall be entered on the journal of each House respectively. If any bill shall not be returned by the President within ten days (Sundays excepted) after it shall have been presented to him, the same shall be a law in like manner as if he had signed it unless the Congress, by their adjournment, prevent its return, in which case it shall not be a law. Every order, resolution, or vote to which the concurrence of the Senate and House of Representatives may be necessary (except on a question of adjournment) shall be presented to the President of the United States; and before the same shall take effect shall be approved by him, or, being disapproved by him, shall be repassed by two thirds of the Senate and House of Representatives according to the rules and limitations prescribed in the case of a bill. To make all laws which shall be necessary and proper for carrying into execution the foregoing powers and all other powers vested by this Constitution in the government of the United States or in any department or officer thereof. Section 9. The migration or importation of such persons as any of the States now existing shall think proper to admit shall not be prohibited by the Congress prior to the year one thousand eight hundred and eight, but a tax or duty may be imposed on such importation not exceeding ten dollars for each person. The privilege of the writ of Habeas Corpus shall not be suspended unless when in cases of rebellion or invasion the public safety may require it. No capitation or other direct tax shall be laid unless in proportion to the census or enumeration herein before directed to be taken. No preference shall be given by any regulation of commerce or revenue to the ports of one State over those of another: nor shall vessels bound to or from one State be obliged to enter, clear, or pay duties in another. No title of nobility shall be granted by the United States: and no person holding any office of profit or trust under them shall, without the consent of the Congress, accept of any present, emolument, office, or title of any kind whatever from any king, prince, or foreign State. Section 10. No State shall enter into any treaty, alliance, or confederation; grant letters of marque and reprisal; coin money, emit bills of credit; make any thing but gold and silver coin a tender in payment of debts; pass any bill of attainder, ex post facto law, or law impairing the obligation of contracts, or grant any title of nobility. No State shall, without the consent of the Congress, lay any imposts of duties on imports or exports except what may be absolutely necessary for executing its inspection laws: and the net produce of all duties and imposts laid by any State on imports or exports shall be for the use of the Treasury of the United States; and all such laws shall be subject to the revision and control of the Congress. 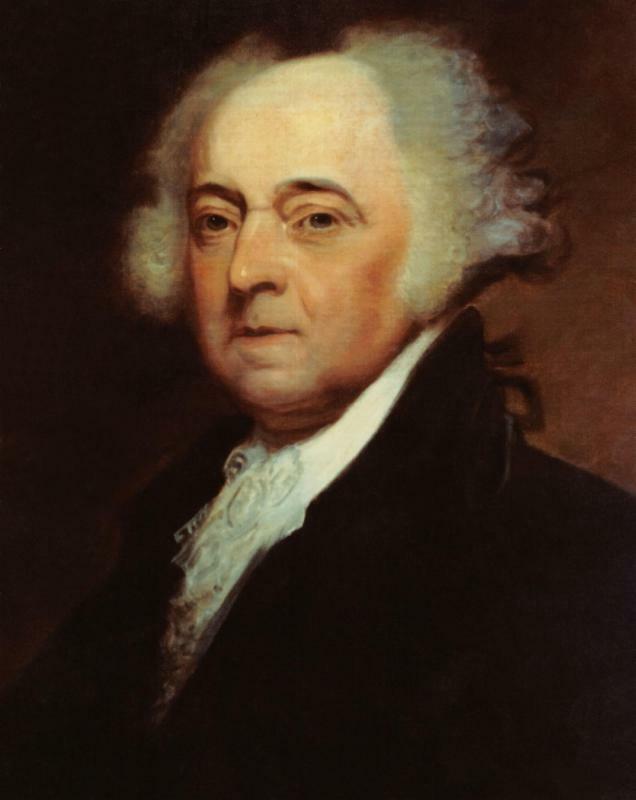 No State shall, without the consent of Congress, lay any duty of tonnage, keep troops, or ships of war in time of peace, enter into any agreement or compact with another State or with a foreign power, or engage in war, unless actually invaded, or in such imminent danger as will not admit of delay. Each State shall appoint, in such manner as the legislature thereof may direct, a number of electors equal to the whole number of Senators and Representatives to which the State may be entitled in the Congress: but no Senator or Representative or person holding an office of trust or profit under the United States shall be appointed an elector. The Congress may determine the time of choosing the electors and the day on which they shall give their votes; which day shall be the same throughout the United States. No person except a natural born citizen, or a citizen of the United States at the time of the adoption of this Constitution, shall be eligible to the office of President; neither shall any person be eligible to that office who shall not have attained to the age of thirty-five years and been fourteen years a resident within the United States. The President shall, at stated times, receive for his services a compensation which shall neither be increased nor diminished during the period for which he shall have been elected, and he shall not receive within that period any other emolument from the United States or any of them. Before he enter on the execution of his office, he shall take the following oath or affirmation: - "I do solemnly swear (or affirm) that I will faithfully execute the office of President of the United States and will, to the best of my ability, preserve, protect, and defend the Constitution of the United States." Section 2. The President shall be Commander in Chief of the Army and Navy of the United States, and of the militia of the several States when called into the actual service of the United States; he may require the opinion, in writing, of the principal officer in each of the executive departments upon any subject relating to the duties of their respective offices, and he shall have power to grant reprieves and pardons for offenses against the United States, except in cases of impeachment. He shall have power, by and with the advice and consent of the Senate, to make treaties, provided two thirds of the Senators present concur; and he shall nominate, and by and with the advice and consent of the Senate, shall appoint Ambassadors, other public Ministers and Consuls, Judges of the Supreme Court, and all other Officers of the United States, whose appointments are not herein otherwise provided for and which shall be established by law: but the Congress may by law vest the appointment of such inferior officers as they think proper in the President alone, in the Courts of law, or in the heads of departments. The President shall have power to fill up all vacancies that may happen during the recess of the Senate by granting commissions which shall expire at the end of their next session. Section 3. He shall from time to time give to the Congress information of the state of the Union and recommend to their consideration such measures as he shall judge necessary and expedient; he may, on extraordinary occasions, convene both Houses, or either of them, and in case of disagreement between them with respect to the time of adjournment, he may adjourn them to such time as he shall think proper; he shall receive Ambassadors and other public Ministers; he shall take care that the laws be faithfully executed, and shall commission all the officers of the United States. Section 4. The President, Vice-President, and all civil officers of the United States shall be removed from office on impeachment for and conviction of treason, bribery, or other high crimes and misdemeanors. Section 1. The judicial power of the United States shall be vested in one Supreme Court and in such inferior Courts as the Congress may from time to time ordain and establish. The Judges, both of the Supreme and inferior Courts, shall hold their offices during good behavior and shall, at stated times, receive for their services a compensation which shall not be diminished during their continuance in office. Section 2. The judicial power shall extend to all cases in law and equity arising under this Constitution, the laws of the United States, and treaties made, or which shall be made, under their authority: - to all cases affecting Ambassadors, other public Ministers and Consuls; - to all cases of admiralty and maritime jurisdiction; - to controversies to which the United States shall be a party; - to controversies between two or more States; - between a State and citizens of another State; - between citizens of different States, - between citizens of the same State claiming lands under grants of different States, and between a State, or the citizens thereof, and foreign States, citizens, or subjects. In all cases affecting Ambassadors, other public Ministers and Consuls, and those in which a State shall be party, the Supreme Court shall have original jurisdiction. In all the other cases before mentioned, the Supreme Court shall have appellate jurisdiction both as to law and fact with such exceptions and under such regulations as the Congress shall make. Section 3. Treason against the United States shall consist only in levying war against them or in adhering to their enemies, giving them aid and comfort. No person shall be convicted of treason unless on the testimony of two witnesses to the same overt act or on confession in open court. The Congress shall have power to declare the punishment of treason, but no attainder of treason shall work corruption of blood or forfeiture except during the life of the person attainted. A person charged in any State with treason, felony, or other crime, who shall flee from justice and be found in another State, shall on demand of the executive authority of the State from which he fled, be delivered up to be removed to the State having jurisdiction of the crime. No person held to service or labor in one State under the laws thereof, escaping into another, shall, in consequence of any law or regulation therein, be discharged from such service or labor, but shall be delivered up on claim of the party to whom such service or labor may be due. Section 3. New States may be admitted by the Congress into this Union; but no new State shall be formed or erected within the jurisdiction of any other State; nor any State be formed by the junction of two or more States or parts of States without the consent of the legislatures of the States concerned as well as of the Congress. The Congress shall have power to dispose of and make all needful rules and regulations respecting the territory or other property belonging to the United States; and nothing in this Constitution shall be so construed as to prejudice any claims of the United States or of any particular State. Section 4. The United States shall guarantee to every State in this Union a republican form of government and shall protect each of them against invasion; and on application of the legislature, or of the Executive (when the legislature cannot be convened), against domestic violence. The Congress, whenever two thirds of both Houses shall deem it necessary, shall propose amendments to this Constitution or, on the application of the legislatures of two thirds of the several States, shall call a convention for proposing amendments which, in either case, shall be valid to all intents and purposes as part of this Constitution when ratified by the legislatures of three fourths of the several States or by conventions in three fourths thereof as the one or the other mode of ratification may be proposed by the Congress; provided that no amendment which may be made prior to the year one thousand eight hundred and eight shall in any manner affect the first and fourth clauses in the ninth section of the first article; and that no State, without its consent, shall be deprived of its equal suffrage in the Senate. All debts contracted and engagements entered into before the adoption of this Constitution shall be as valid against the United States under this Constitution as under the Confederation. This Constitution and the laws of the United States which shall be made in pursuance thereof; and all treaties made or which shall be made, under the authority of the United States shall be the supreme law of the land; and the judges in every State shall be bound thereby, any thing in the Constitution or laws of any State to the contrary notwithstanding. DONE in convention by the unanimous consent of the States present the seventeenth day of September in the Year of our Lord one thousand seven hundred and eighty seven, and of the independence of the United States of America the twelfth. September 17, 1787 was a special day. Why? Because the U.S. Constitution was signed. Thirty-nine Founding Fathers signed this important document. It's the longest lasting Constitution in the world. This day is monumental and it should be celebrated. 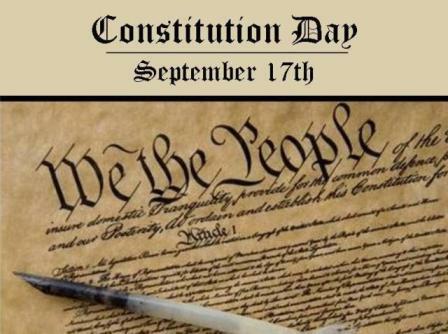 Hence, America calls September 17 Constitution Day. 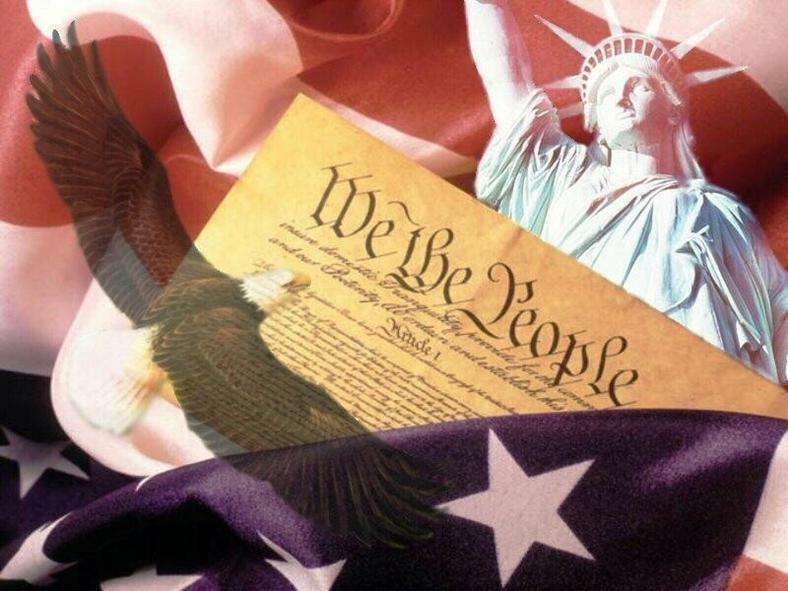 How much do you know about the Constitution? Have you ever read it? We encourage you to read it this week. It's important that we Americans know what is in the Constitution because it's important to know our rights. We also encourage you to learn about the background of the Constitution. The Founding Fathers provided detailed information about the intent of the Constitution and the meaning behind it. We know through documents (such as the Federalist Papers) what the Founding Father had in mind. 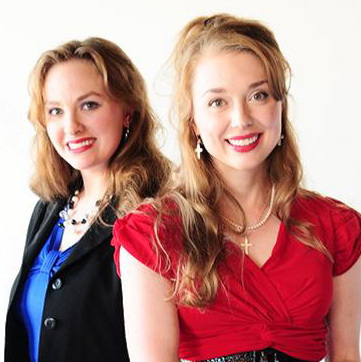 Today we hope you will enjoy this very special edition of Unite the USA and learn all about the Constitution. And join us in saying "Happy Birthday" to this fundamental, monumental document! Today is our favorite U.S. senator's birthday. Chuck Grassley is a hard working, honest, man of faith. Senator Grassley is a defender of freedom. It's so appropriate that he was born on Constitution Day. 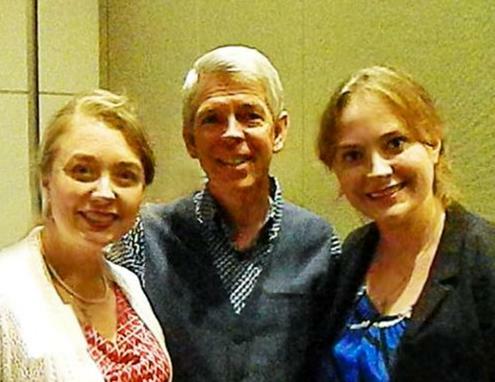 We're thankful that he's our senator and we're thankful that he's our friend. 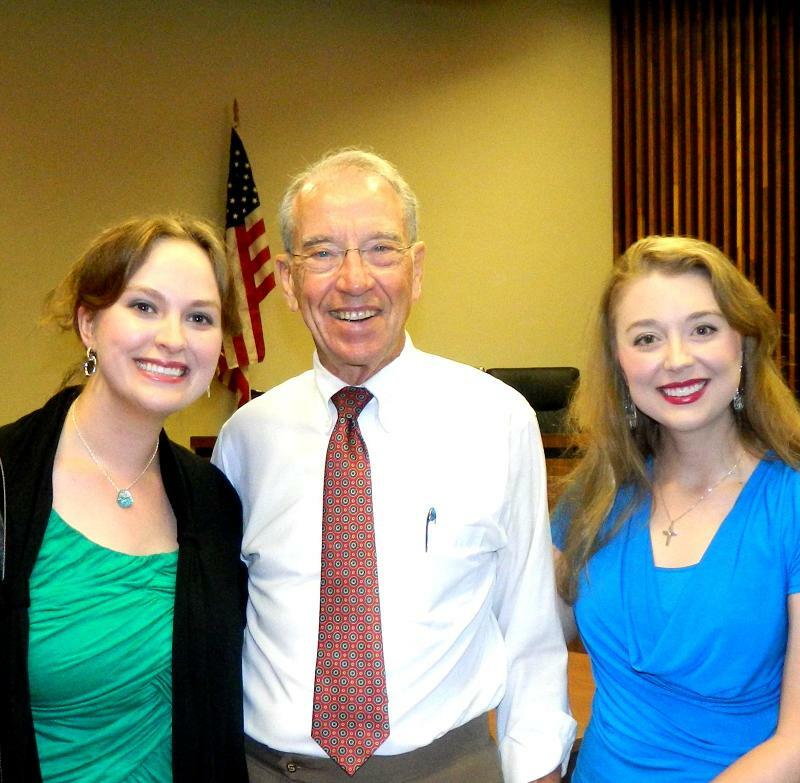 Happy Birthday, Senator Grassley! "Be my strong refuge, to which I may resort continually; You have given the commandment to save me, for You are my rock and my fortress." David Brearley (June 11, 1745 - August 16, 1790) served during the War of Independence. He rose to the rank of colonel in Nathaniel Heard's New Jersey militia brigade. He was a delegate to the U.S. Constitutional Convention and signer of the U.S. Constitution from New Jersey. 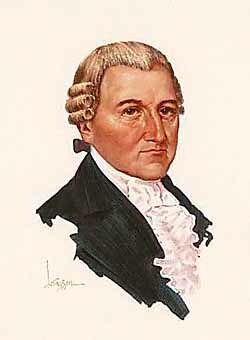 After signing the Constitution in 1787, he was the leader of the New Jersey committee that approved the Constitution. In 1789, Brearley was a Presidential elector; on September 25, 1789 he was nominated by President George Washington to be the first federal district judge for the United States District Court for the District of New Jersey. The Constitution was ratified by specially elected conventions. Here's the order in which the thirteen states accepted the Constitution: Delaware, Pennsylvania, New Jersey, Georgia, Connecticut, Massachusetts, Maryland, South Carolina, New Hampshire, Virginia, New York, North Carolina and Rhode Island. 39 people signed the U.S. Constitution. The Constitution was "penned" by Jacob Shallus. He was a Pennsylvania General Assembly clerk and he was paid $30 ($726 today). The word "democracy" does not appear once in the Constitution. Why? Because the United States of America is a republic -not a democracy. The Bill of Rights consist of the first ten amendments of the Constitution. 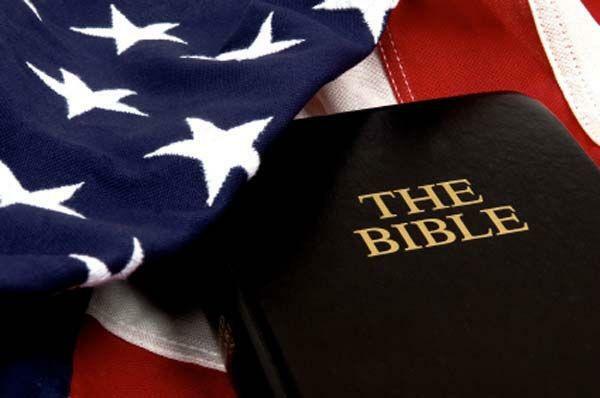 Separation of Powers (Jeremiah 17:9), Three Branches of Government (Isaiah 33:22), Tax-Exemptions for Churches (Ezra 7:24), Republicanism (Exoxdus 18:21), Article 1, Section 8: Uniform Immigration (Leviticus 19:34), Article 2, Section 1: President Natural-Born (Deuteronomy 17:15), Article 3, Section 3: Witnesses (Deuteronomy 17:6), and Article 3, Section 3: Attainder (Ezekiel 18:20). George Washington and James Madison were the only U.S. Presidents who signed the Constitution. First, read the U.S. Constitution for yourself. Read books and/or articles that explain the history of the Constitution and who signed it. 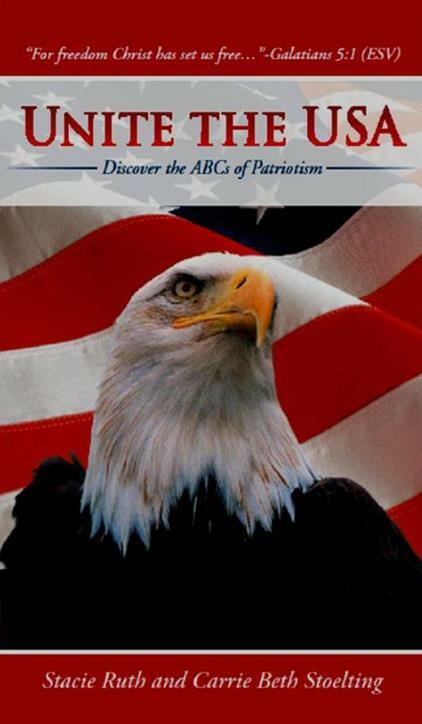 Resources that we suggest are: The Patriots Handbook Pack, Unite the USA, and Constitution Alive! A Citizen's Guide to the Constitution. Watch the American Heritage Series by Wallbuilders. It will open your eyes to the truth of our Christian heritage and how Christianity shaped our founding documents like the Constitution. Many resources and online classes are available at web sites such as www.wallbuilders.com, www.rickgreen.com, and ChristianBook.com. Many resources to teach kids are available at these sites, too.